UPDATE: No plans for a European release at this time. UPDATE: Sony told Eurogamer it has no plans to release Gran Turismo 5 Spec 2 in Europe at this time. ORIGINAL STORY: Sony has announced Gran Turismo 5 Spec 2, a new retail disc version of the PlayStation 3 exclusive simulation racer that includes the main game and all the downloadable content released so far. 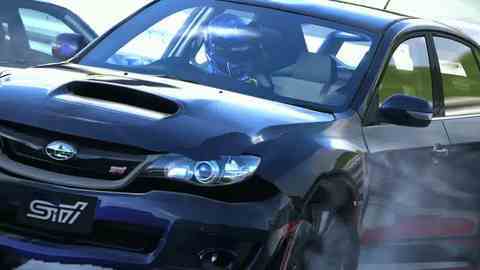 Gran Turismo 5 Spec 2 is confirmed for launch in Japan on 2nd February 2012. We're checking with Sony Computer Entertainment Europe now on a UK release. Developer Polyphony Digital's Japanese website (via Andriasang) reveals a new cover, with the Red Bull X2011 on it. It also mentions Spec 2 includes Gran Turismo 5, all of the content from the 11th October version 2.00 update, and a download code for the Complete Pack, which launched in Japan on 18th October. In October Martin Robinson returned to the racing game for Eurogamer's GT5 2.0: Why You Need To Go Back feature. "If you're looking for a diversity of driving experiences, then Gran Turismo's always been the best," he wrote, "and now it's that little bit better too."